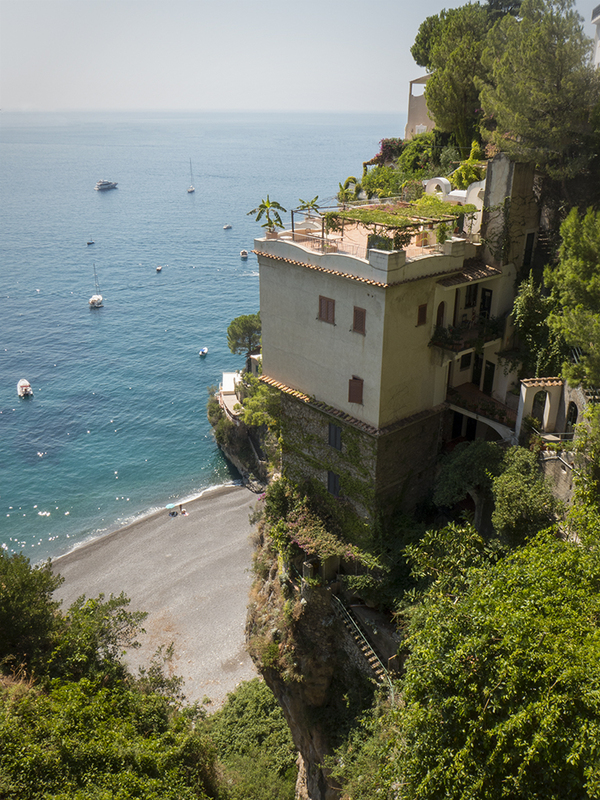 Every time we walked from the villa to the village of Positano we passed a house that simply had to be photographed. It is actually three apartments that are built, quite literally, on the side of a cliff overlooking the sea and above a private beach. The setting is stunning and the way the house is fitted into the hill seems to sum up the relationship Positano has with its surroundings. They work in harmony, like that’s the way things have always been. The Italians have a word for this – simpatico. This entry was posted in Amalfi Coast, Holiday, Italy, New Zealand, Positano, Wellington and tagged Amalfi Coast, Holiday, Italy, New Zealand, Positano, summer, Travel, villa, village, Wellington by toscanakiwi. Bookmark the permalink.